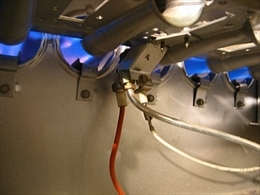 Furnaces can exhibit various kinds of operational problems. One of these is -it is not heating at all. Let’s take a look at the troubleshooting procedures, if such a problem ever occurs with your furnace. •	Begin by checking if the thermostat of the furnace. It should be set to heat. The thermostat is the brain of the furnace. It sends signal to furnace to start its operation for producing heat. Of course, there are programmable thermostats today that do not need manual setting. They can sense the outside temperature or detect the presence of humans in the house to function accordingly. •	Next check the circuit breaker of the furnace. It should not have tripped. Also look for a blown fuse. Take a look at the main electric panel and the sub panels that supply power to the furnace. If the circuit breaker has tripped, reset the circuit breaker by flipping it off and then on again. Replace the fuse, if it has blown. If the circuit blows again then there could be a short somewhere. You need to call a technician to locate and resolve it. 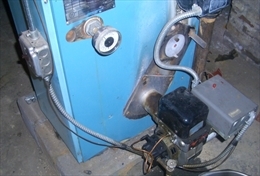 •	Take a look the furnace’s power switch. It should be situated inside the furnace cabinet or just next to it. If it is not on, turn it on and wait for some time for furnace to start. •	Sometimes the furnace shuts off because of an overload. In such case the motor has to be reset. Find the Reset button near the blower motor’s housing. Press it. If this does not help, just turn off the machine. Wait for the motor to cool. Then press the reset button again. •	Ensure that the vents of the rooms are open for the hot air to get inside. Check the filter in the cold air return; if it is clogged with dirt replace it immediately. Dirty filters can restrict air flow. Thy will bring down the heating levels drastically. •	Check the gas valve to ensure it is on and opens up to let the fuel enter the burning chamber. When on, the valve's handle is should be aligned to the fuel pipe. When it is off, the handle will become perpendicular to the pipe. •	You have a pilot light on your furnace, ensure it is coming on. If it not, follow the manufacturer’s instructions to reset it. If it does not work call a technician. It could require a replacement. If none of these troubleshooting tips work, call a HVAC technician to inspect and repair the furnace. Disclaimer: Although these are the typical methods used to troubleshoot a non-heating furnace, they can vary from place. Please consult the professional service provider as the details are for information purposes.